After two (2) nights of energetic performances, two (2) bands have been adjudged winners of the maiden edition of the Casa Africa Vis a Vis Ghana – Espana project. 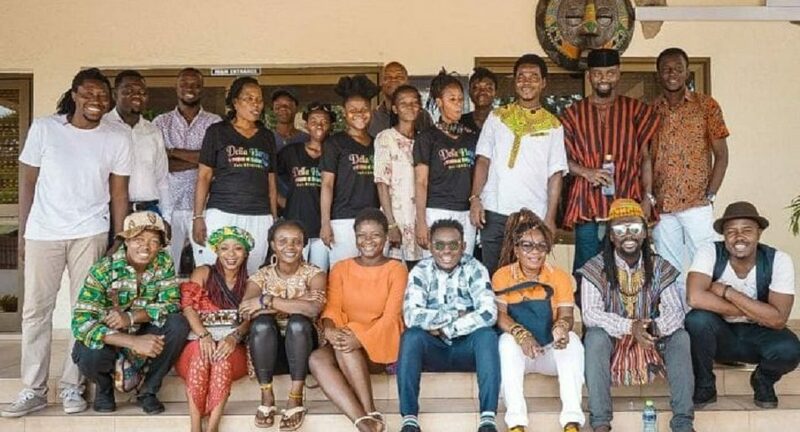 Out of 64 Bands that applied for the competition, Twelve (12) Bands were shortlisted and entered into a two  day competition on Friday, March 15 and Saturday, March 16, 2019 at the Accra Tourist Information Centre in Accra. After their performances, the twelve (12) member Spanish jury declared the Fra Band and the KyekyeKu and Ghanalogue Highlife Band. These bands will represent Ghana to perform at some of the most important music festivals in Spain during the summer season in July. The Vis A Vis Ghana–Espana project is a professional meeting between Spanish Music Producers and the Musicians from Ghana. Formed in 2015 and based in Nungua, a suburb of Accra, the band started out by performing covers of songs from various artists during shows. 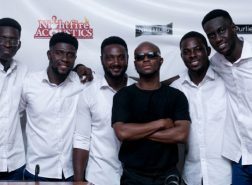 Over the years, the band has worked with a lot of music groups, institutions and individuals in the entertainment industry, both formally and informally. On August 10, 2018, the band released its maiden album titled “FRA!TERNITY”. The album has 11 songs which feature a wide array of musical genres ranging from highlife, afro-pop, indie rock and soul. The band employs a group songwriting process to ensure that the final work equally reflects the opinion of each member of the group. The band is currently focused on promoting it maiden album both within and outside Ghana. Kyekyeku is described by CNN AFRICA VOICES as a ‘Wizard of the Guitar’. A Ghanaian musician whose acoustic and electric guitar sounds, intricate percussive groove and lush horns defines a style that carries a distinctive Ghanaian sound and image locked between folk and a throbbing urban highlife beat. Kyekyeku is seen as a new generation of young lively Ghanaian musicians that is combining musical traditions from roots Palmwine (a style of Ghanaian folk) Highlife and Afrobeat; performing live in new and exciting sounds. Kyekyeku creates a unique high-energy sound mixed with Highlife and Afrofunk of fellow countrymen Ebo Taylor and Pat Thomas erupting in a pulsating Afro-urban musical broth. Kyekyeku and Ghanalogue Highlife is a celebration of Ghana’s music heritage of a bygone era and yet a salutation to the evolution of modern trends locked between a sumptuous folk style and West African urban beat. With lyrics reminiscent of village recreational songs, protest songs, love poetry and old African spirituality, his music touches on themes concerned with the well-being of Africa and the world society. Kyekyeku escorts you on soulful journey to the enchantment lands of West Africa in a Palmwine meets Highlife meets World Grooves fun moment.